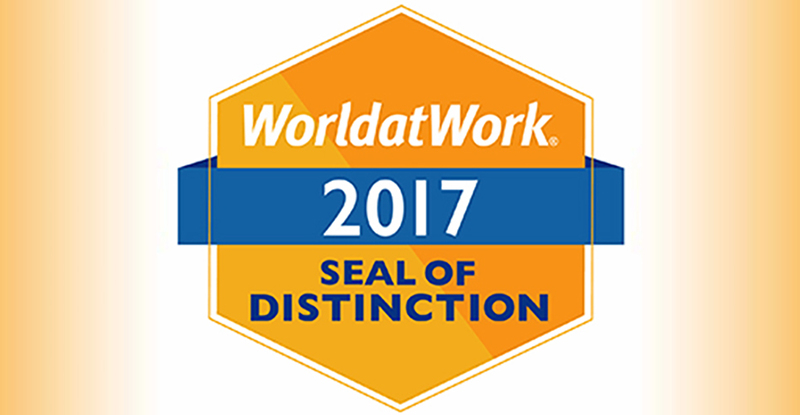 U-M is one of 160 employers in the United States and Canada, and one of only 23 higher education institutions, to receive the 2017 Seal of Distinction from WorldatWork, a nonprofit HR association. The recipients are evaluated on seventeen categories, including health and wellness, compensation, time off policies, flexible work arrangements, dependent care, employee recognition, community involvement and more. In addition to providing competitive benefits and time off policies, U-M offers resources for child care, including three on-site children’s centers, information about flexible work options, elder care resources, and lactation resources for new mothers through the Work-Life Resource Center. It also provides programs and services aimed at supporting physical, mental and emotional well-being through MHealthy. Find information about resources, programs and services for faculty and staff.